Enhancing your patio door doesn’t always have to require extensive remodeling work. Sometimes, applying a fresh layer of wood varnish or paint is more than enough to make it look prettier. This is especially true for existing patio doors in perfectly good shape. Whether you have French doors or sliding doors, changing the handles can have a significant effect on how your patio door looks. Besides, changing the handles can also improve your patio door’s functionality. For example, changing to longer handles make it easier for people with wrist problems to operate the door. Adding shutters to your patio doors can add a dynamic look to them. More importantly, shutters let you have more control over the amount of light passing through your doors. Coloring your shutters to contrast with the surrounding wall will also help your patio doors stand out, turning them into a focal point in a room. Enhancing the look of your patio doors shouldn’t be restricted to indoor changes. Adding a canopy makes your patio doors more interesting, especially if it already looks good on its own. As a bonus, the canopy also provides some protection against rain and harmful UV rays that can eventually ruin the look of your doors. Learn more about how we can help you enhance your patio doors. 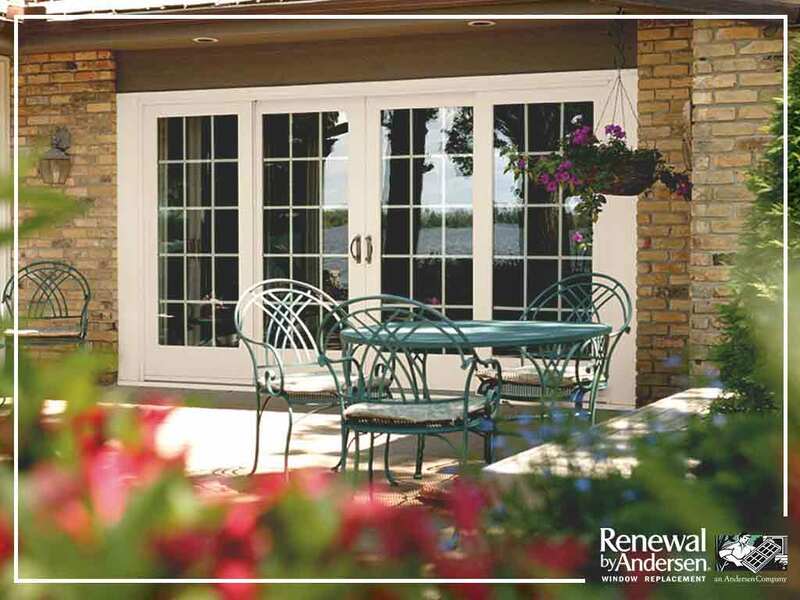 Renewal by Andersen® of Central Florida is the leading door company in Orlando, FL. You can call us at (407) 512-5504 or fill out this contact form to request an estimate.